Tours Cusco, Sacred Valley of the incas and Salkantay Explorer 7days: This Trek the Salkantay trekking includes two nights of acclimatization in Cusco before the Trekking to Machu Picchu, the complete 5days hike Salkantay to Machu Picchu luxury, an overnight by Machu Picchu in the town of Aguas Calientes (Machupicchu pueblo) and back to Cusco for a last night. 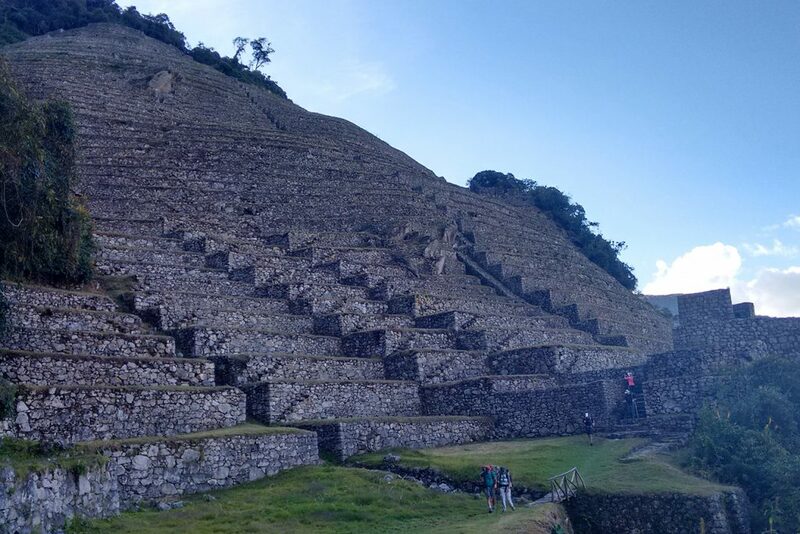 Explore areas of the site that are less visited by mosttravelers,such as climbing Machu Picchu Mountain (special permit to be purchased in advance) or hiking to the Inca Bridge or the Sun Gate. Visit the town of Aguas Calientes (Machupicchu pueblo) and shop the local craft markets. Departures Dates: Every day of the year (please check availability in our groups). Altitude: 1950 – 4600m. / 6398 – 15092 f.
Visited Places: Cusco, Mollepata, Trail (Cruz Pata, Soraypampa, Salcantay, Huayrac Pampa, Chaullay, La Playa, Lucmabamba, Santa Teresa , Hydroelectric Center, Aguas Calientes, Machu Picchu. Daily departures are available along the year, the recommended period for this trek is April to October. Preparation prior the Hiking Trips: due to the altitude of the highest point in Salcantay Mountain we recommend a period of at least 2 days for acclimatization in Cusco at 3350m/9840ft. Arrival and transfer in Cusco. At the schedule time, our uniformed personnel will be waiting for your arrival at Cusco airport or the bus terminal, carrying a sign with your name on. We will then take you to the hotel. The tourist mobility for the service we offer is fully equipped for your comfort. Travel time will vary depending of the location of your hotel. We will pick you up from your hotel at 14:00 pm to begin our tour of the city, where our professional guide will provide you with the necessary information on all the attractions that we will visit. The tour guide will be attentive to any questions and / or needs that each of our visitors require. First, the main temple of the Sun known as the “Qoricancha”. Secondly, “Sacsayhuaman” known as the head of the Puma in reference to the city of Cusco which was built in the shape of a Puma, and the head of the puma was exactly Sacsayhuaman. After we will visit Qenqo temple in honor of mother Earth or Pachamama. We then continue with our bus to Pucapucara that, in Incas time, was an entry control to the sacred city of Cusco. Finally, a visit of Tambomachay Inca temple in honor of the natural element of water. We then return to Cusco. It will be up to you to decide to either stay in the main beautiful square of Cusco or be taken to your hotel. 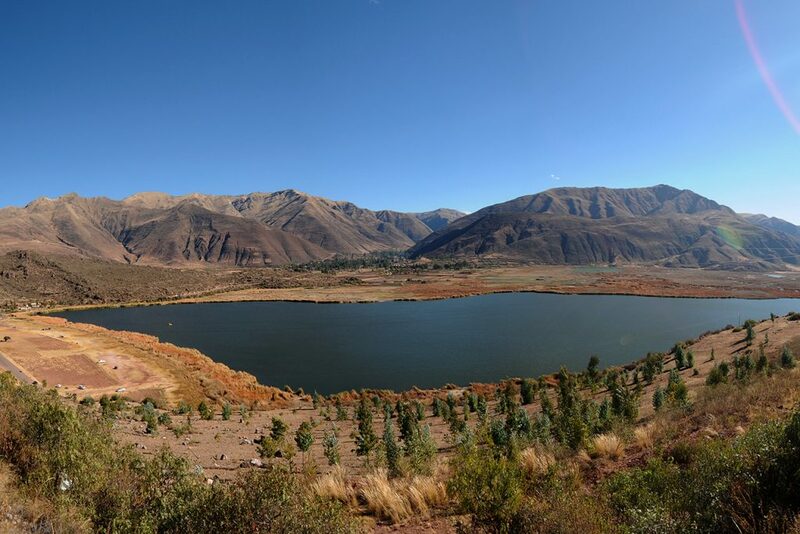 8:30 a.m. We will pick you up from your hotel to start our tour of the Sacred Valley of the Incas. We will leave the city to reach the viewpoint of Taray, from here we can enjoy the beautiful Inca terraces and existing farmland which surround the sacred river of the Incas “Willcamayuc”. 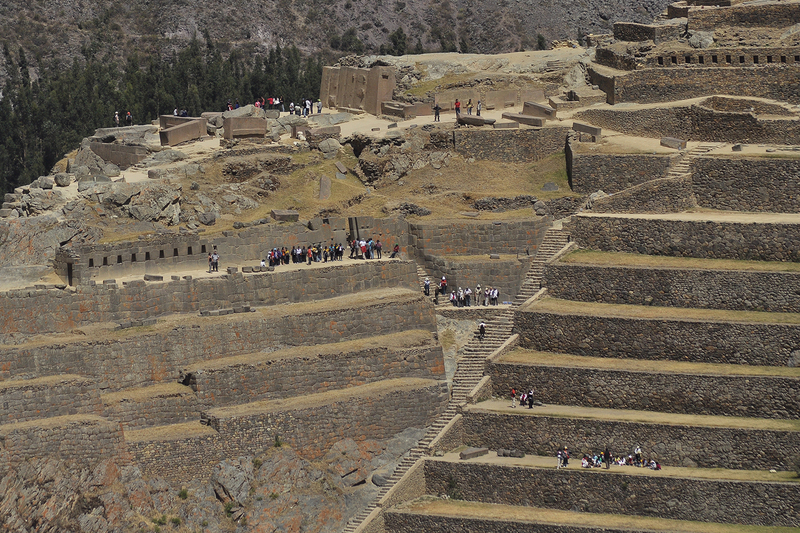 Later on, we´ll visit Pisaq the archaeological Park, also the Indian market which is as colorful as the local people. After some free time we will continue our journey to the village of Urubamba, where will have lunch at a delicious buffet. 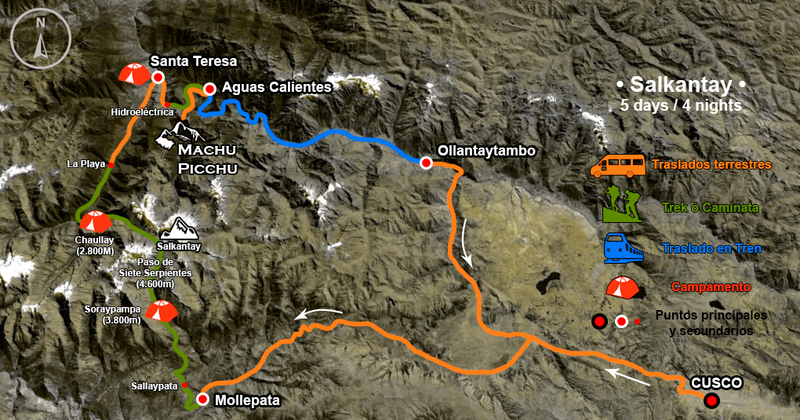 Continuing our journey we’ll reach the last living Inca town “Ollantaytambo”. Ollantaytambo is remembered as a mythical love story, a drama of love that prevails against all obstacles. It is believed that this city was built by General Inka Ollanta in a time of rebellion against the Royal army of the Inka to prevent its binding to the beautiful princess Cusi Qoyllor “beautiful star”. After a 40 minutes’ drive we will reach Chinchero which is surrounded by the colonial houses, where we will again discover the magnificence of the Incan constructions, terraces and the beauty of the local people in their traditional dresses, all surrounded by the local temple, where you will appreciate the painting of local people who later where well-known as the creator of the “Escuela. Cusqueña” founders. The Colonial church is rich in art and jewelry and well appreciated by their population. The “trek” on this first day is for the majority of the time simply walking on the road that runs all the way back to Soraypampa. While the views are stunning and the trail occasionally takes a steep shortcut through the cow pastures, the scent of eucalyptus invades you as you head up out of Mollepata and out into the wide open valleys that dominate this section of the Andes, and it feels incredible to breathe the thin, mountain air and slowly slip further back into the middle of nowhere. The trail from the village of Challway to lunch at La Playa is when you make the noticeable change from the mountains down into the jungle. Trickling streams amongst the sub-alpine plains give way to raging waterfalls and streams .There are a number of river crossings across bridges constructed from simple tree logs and branches, and it’s the kind of scenery that you expect a massive python or puma to lurch out at you at any given moment, although allegedly no pythons exist here and pumas are exceptionally rare. the vista of the river valley and the occasional stream crossings are enough to occupy your mind for the 4 hour trail down to lunch. We take a local bus for an hour long bus ride wich will bring us to the town of Santa Teresa, which is the first actually town that you’ll encounter along the trail, and is also famous for the Santa Teresa hot spring that bubble up right outside of town. Optional trekking: Santa Teresa Hot Springs . After breakfast you’ll walk for four hours until you reach the Urubamba River and have lunch by the hydro-electric station there. The walk to Aguas Calientes (Machupicchu pueblo) is along the train tracks ,12 kilometers (7.5 miles). Walking along the train line is much more enjoyable than we anticipated as a wide path undulates beside the tracks. Almost the entire distance is shaded by jungle foliage, trees and flowers, the incline is very gradual. This is the perfect “cool down” after 4 days of trail. 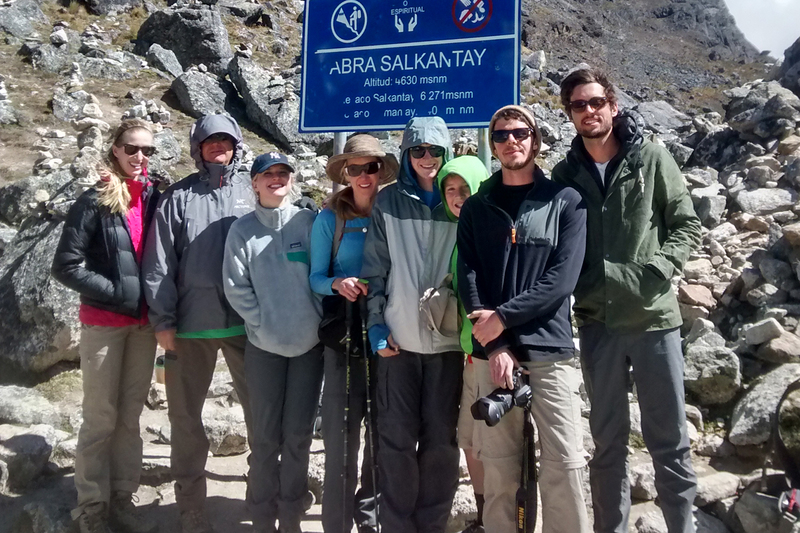 We can tell that we are getting close to our destination of Aguas Calientes: we notice more and more “clean looking” trekkers in fancy clothes looking very fresh… they are day trippers!. We are only a short walk away from a hot shower. The first in 4 days! There are no words to describe the joy of seeing the town of Aguas Calientes, the tired legs are quickly forgotten as we are near our hotel. Not only would we get to take a hot shower, but also sleep in a real bed… Hurra! Overall this journey is highly recommended, just be sure to bring some good rain gear, some really strong bug repellent, and be prepared for an absolute madhouse on the final day of the trail “cause after 10 am thousands of tourist are coming from Cusco in a day trip to Machupicchu. Hotel for 2 nights in Cusco. Tour to the South Valley of Cusco. Drinking water along the Inca trail, machu, only on meal times. Photo/video cameras and chargers, machu, tours. Please, no hard suitcases or wheeled bags. Soft duffel bags and / or backpacks (“soft” luggage) are recommended. Shampoo, conditioners and bath gel are provided at each lodge. Bathrooms are equipped with drying lines. Though we do not establish a weight limit for luggage or charge for excess baggage, we inform guests that luggage is mainly transported by mules and/or porters along the trail. We kindly ask that you consider restricting the weight of your luggage on the trail up to 10Kg/22Lbs. For availability of spaces for this service, please contact us info@machupicchutrekking.com and we`ll send you detailed information, prices, terms and conditions. “MACHU PICCHU TREKKING is a tour operator travel agency in Peru and the city of Cusco, We really know what we do and offer, We are well managed, with several offices in Peru and a long list of travel destinations , offering all travel alternatives in Perú, from family trips, honeymoon trips and luxury travel, including adventure tours and exploring trips to the jungle, for almost any budget”. 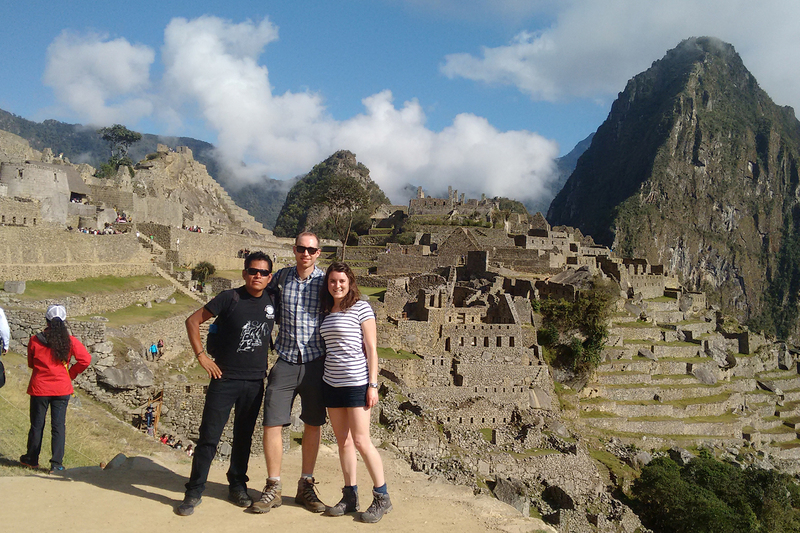 NOTE: “MACHU PICCHU TREKKING , specializes in organizing the ideal travel plan to Peru, with hotels and destinations that you choose, because we have all confidential and promotional rates. For guidance on how to organize your custom package. Please write us.